Due to the extreme lack of snow on the East Coast, the regularly scheduled Killington ski trip to Vermont morphed into a last minute excursion to Salt Lake City, Utah, from December 30 to January 1, 2007. Dave went to several ski resorts, including the Alta ski resort, accompanied by friends Ian Watson and Lucia Capuano from Scotland. 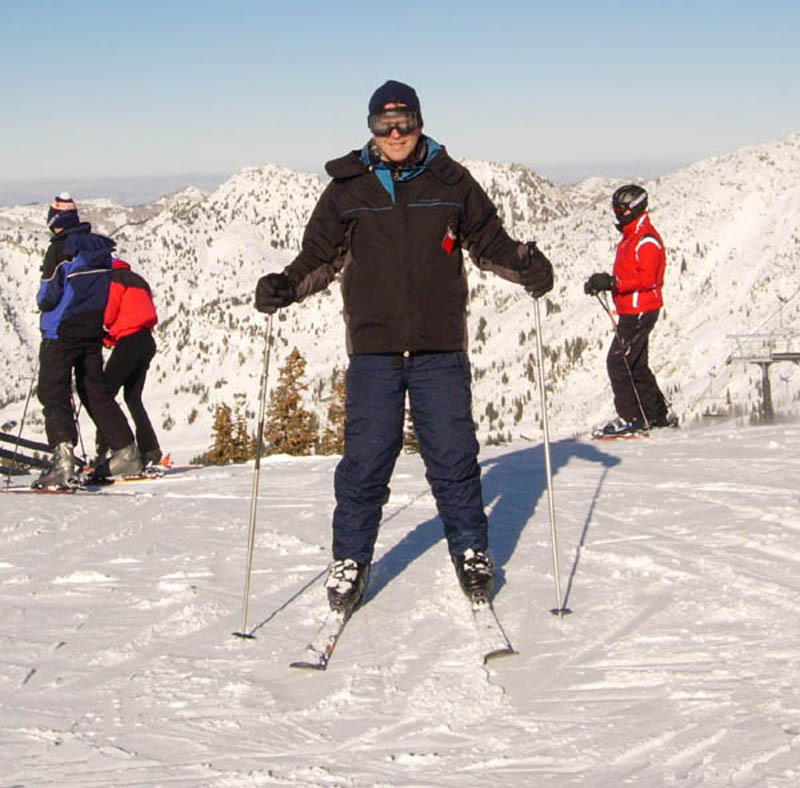 David Keener, skiing at the Alta Ski Resort in Utah in December 2006. It was the middle of winter, and the only place in the US with snow worth skiing was the Rocky Mountains.